Is there a better alternative to iCal Reply Checker? 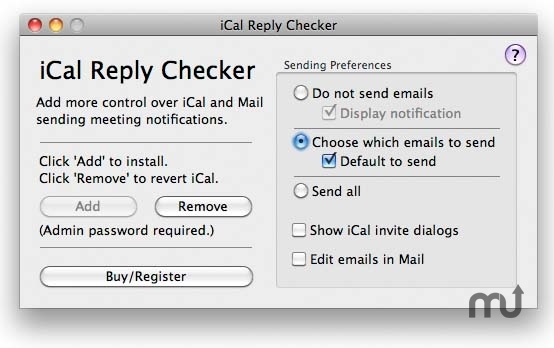 Is iCal Reply Checker really the best app in Personal Info Managers category? Will iCal Reply Checker work good on macOS 10.13.4? Note:As iCloud, CalDAV and Exchange calendars send messages directly from the server and do not involve the local Calendar/Mail applications, iCal Reply Checker is not compatible with them. Adds new OS X 10.8 sent invitations. Fix OS X 10.8 stuck preferences bug. iCal Reply Checker needs a rating. Be the first to rate this app and get the discussion started!